Imonogas an antiflatulent is simethicone medicament containing as an active ingredient. This compound works by destroying the gas bubbles bowel reducing discomfort caused: bloating and abdominal cramps. Imonogas is indicated to relieve discomfort caused by intestinal gas: abdominal bloating and cramping. 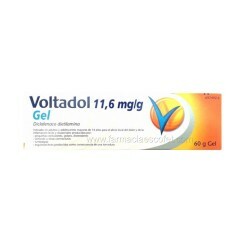 - Active ingredient: Simethicone (120 mg per capsule). - Excipients: glycerol and gelatin. - If you are allergic to simethicone or any other part of this medicine. - If you have chronic constipation. - If the patient is younger than 18 years old. - If you are currently treated with any other medications. Do not use in children under 18 years old unless medically indicated. Although the simethicone is not absorbed using this Imonogas during pregnancy is discouraged. Imonogas not excreted in breast milk so it can be used in lactating women. - Adults: Take 1 capsule Imonogas 120 after breakfast, lunch and dinner accompanied by a glass of water. Imonogas should not be taken with milk or with grapefruit juice. should not exceed 4 capsules of Imonogas 120 a day. Consult your doctor if after 10 days of treatment with Imonogas symptoms do not improve. - Children: Do not administer without a prescription. Allergic reactions (itchy skin and swelling of face and tongue that can affect breathing), nausea, vomiting and constipation: Could the following side effects appear.